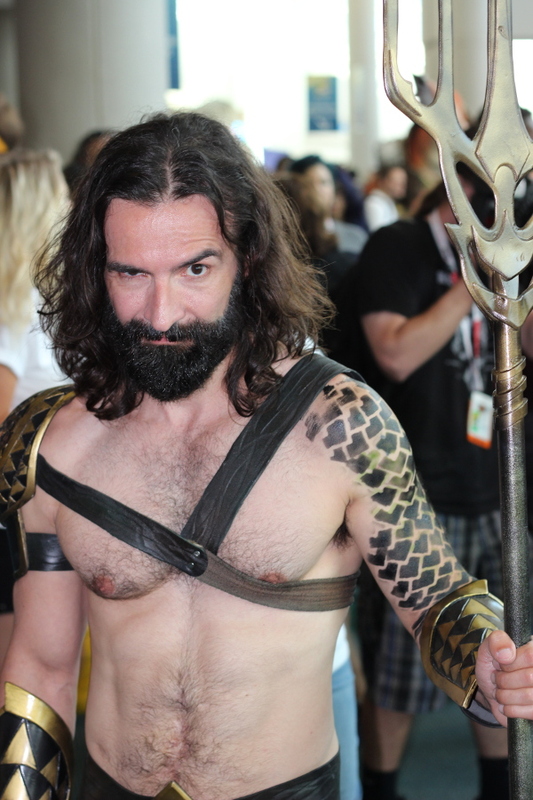 I didn't go to San Diego, but I saw a lot of excellent Aquaman cosplay in various round-ups. I've collected what I was able to find, so let's start with a slightly surprising trend... Aquaman costumes based on the single photo of Momoa's Aquaman that we've seen so far. I found three distinct costumes. To go to the original photo gallery that contains these, just click the picture. Pity about the expression on this guy's face. He looks vaguely pop-eyed, which brings up thoughts of a completely different sea-related character. The choice to not go shirtless was probably a good one, as very few guys can really pull it off. I do wonder if this might be a different character entirely. This guy clearly went to a lot of effort, and he gets props for that. I'm impressed. 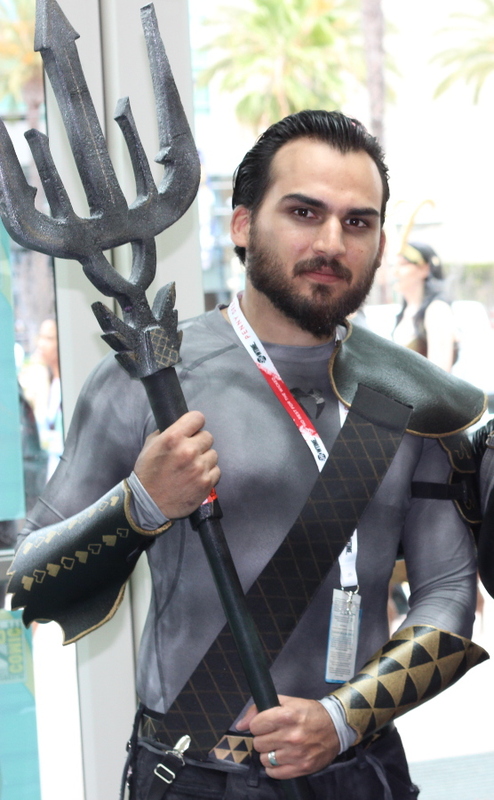 Have you spotted any Momoa-based Aquaman costumes from San Diego or any other conventions? If you have a photo or a link to one, please comment. Thanks!